Learn how to make the different bracelets and rings which form part of my Dagger Flowers series. This complete 7 page step-by-step tutorial contains all the instructions, diagrams and photos you will need to make your own versions of the pieces. A basic knowledge of peyote stitch is needed. 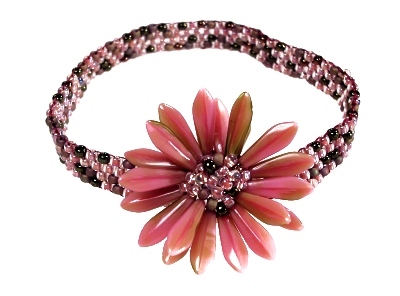 This project was originally published in the April 2006 issue of Bead and Button Magazine.